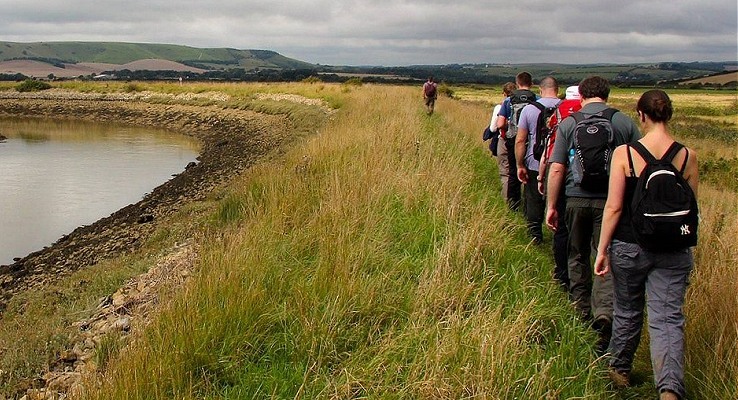 This circular walk between small Sussex towns is notable by its sheer variety. It runs close to the famous Bluebell steam Railway, the spectacular lake at Ardingly and the botanic gardens of Wakehurst Place. We have options to stop around Ardingly lake for lunch or continue on to Ardingly village where there is a pub and cafe. Later in the afternoon we’ll grab a coffee at the wonderful Wakehurst Botanical Gardens. The terrain is easy, so good walking shoes are adequate, except perhaps in wetter conditions. The station car park is free at weekends. Also there is a train via Gatwick Airport that arrives at 11:16 (only hourly).